Benefit from discounts of up to 50% with our Standard offer. 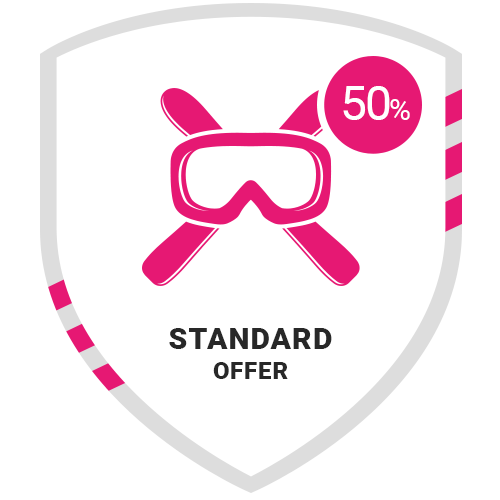 At Ski Republic, as soon as you add 4 or more sets of ski or snowboard equipment to your order, you will benefit from an EXTRA 5% discount. This offer will be calculated automatically as soon as you add the 4th set of equipment. This offer is unable to be used in conjunction with our Family or Group Offers. 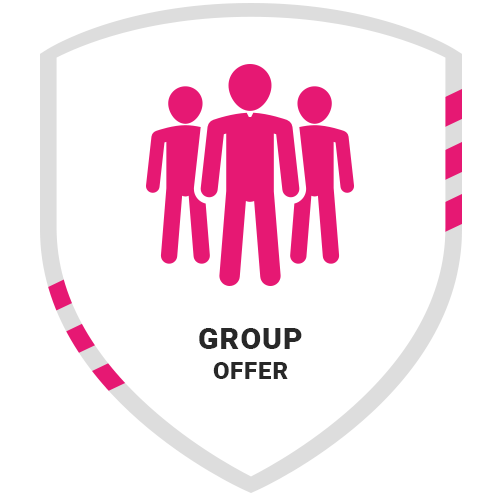 Our Group Offer gives groups of 8 people of more, ordering their ski / snowboard equipment together an EXTRA 10% discount off their entire order. Groups of 12 people or more, can contact us directly via our contact form (available HERE) for a tailor made quote. Please tell us which resort you are visiting, your dates and the number of people in your group. 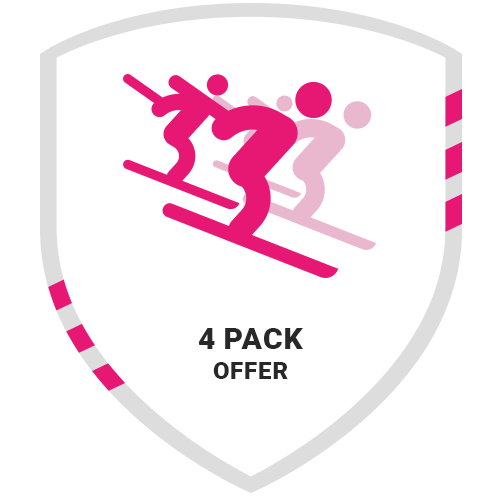 This offer is unable to be used in conjunction with our 4 Pack Offer or our Family Offer. At Ski Republic, when you hire your equipment for 6 days, we give you a 7th day FREE! Just make sure you select the 6 days +1 FREE when entering your hire period at the beginning of the reservation process and the 7th free day will be included. This offer can be used in conjunction will all our other online offers.